Voted as the world's most Extreme Airport by the History Channel, we welcome you into the cockpit alongside the amazing pilots of TARA AIR! Multiple camera angles capture the arrival and departure plus loads of close-up airport action. Lukla Airport is perfectly situated to serve as the gateway to Mount Everest and features the world’s most extreme approach, winding through the mighty Himalayas! Interviews with Tara Air's Lukla-based Manager, brave pilots and thrilled passengers bring this experience to life. Don’t miss this ultimate extreme airport experience and don’t forget to include Extreme Airports volumes 1, 2, and 3 to complete your collection! 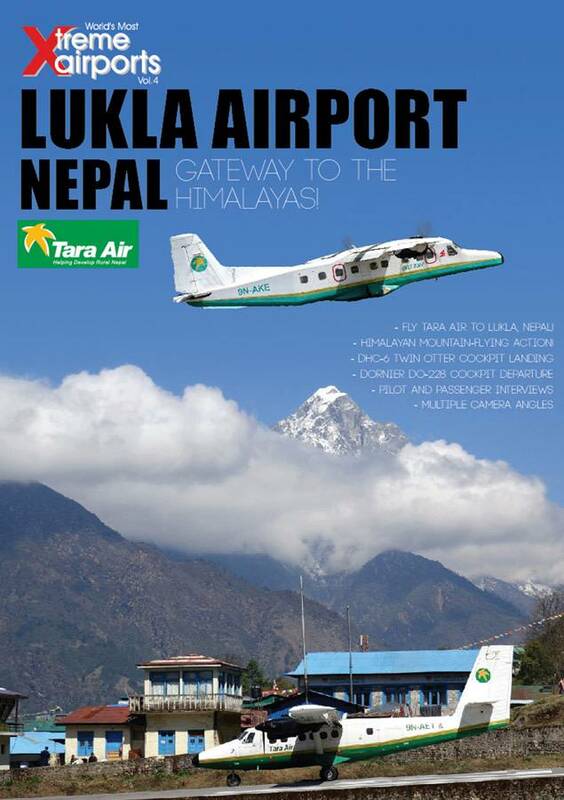 - Fly Tara Air to Lukla, Nepal!